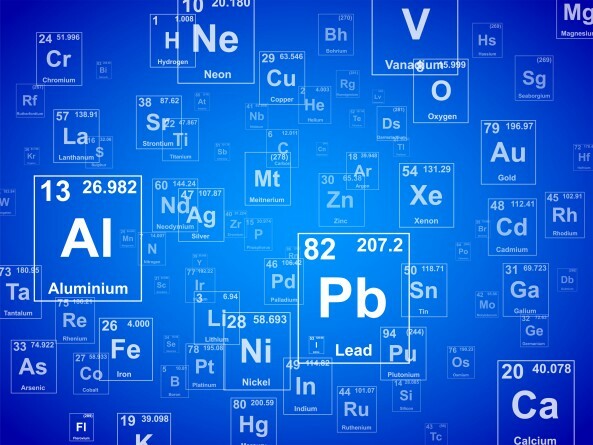 The discovery of nihonium, moscovium, tennessine, and oganesson completed the 7th row of the Periodic Table of Element. ACS Symposium Series eBooks published, “Elements Old and New: Discoveries, Developments, Challenges, and Environmental Implications,” to celebrate this achievement. This volume is a collaboration between 25 outstanding researchers in the fields of chemistry and physics and was developed based on a symposium held during the 252nd American Chemical Society National Meeting & Exposition, in Philadelphia, Pennsylvania in August of 2016. It provides a comprehensive overview of our current knowledge and understanding of the table and the known elements. “It’s pretty rare for a row of the periodic table to be completed — and to have some of the smartest folks get together to discuss it and what that means. Yet the symposium which led to this book was sparked because of this quite historic moment. We were there when the 7th row of the periodic table was completed!” says University of Detroit Mercy Professor of Chemistry and Department Chair Mark A. Benvenuto, who co-edited this volume. In this book, readers will find in-depth discussions of the history (how the elements were discovered and named) and the predicted future (how the table may continue to evolve) of the periodic table of the elements. It is also a collection of the most recent studies of existing elements, their physical properties, and their uses in modern life. Other thought-provoking topics, such as the connection between the table and natural history as well as the public’s perception of chemistry and science in general, are also included. “We have some amazingly good authors in these chapters,” says Benvenuto. He suggests that teachers and students of chemistry studies, as well as anyone who is interested in the periodic table and how and why people use it, should read this book. Access the 11 peer-reviewed chapters now and stay current with the developments and discoveries of the existing elements on the periodic table. Dr. Mark Benvenuto is a professor of Chemistry and Department Chair at the University of Detroit Mercy. His favorite element on the periodic table is iron, for it is the only element for which an age in several societies was named. He and his research team are currently working on finding robust, easy-to-synthesize, and hardy molecules that can pull ions from polluted water streams. Dr. Tracy Williamson received her B.A. in chemistry in 1985 from Hamilton College and her Ph.D. in organic chemistry in 1992 from the University of Delaware. Tracy is currently the immediate past chair of the American Chemical Society (ACS) Division of Environmental Chemistry and is a member of the ACS Committee on Nomenclature, Terminology, and Symbols. She is a fellow of the American Chemical Society and was formerly a member of the ACS Committee on Environmental Improvement. Tracy is currently the Chief of the Industrial Chemistry Branch in the Office of Pollution Prevention and Toxics at the U.S. Environmental Protection Agency. Read “Elements Old and New: Discoveries, Developments, Challenges, and Environmental Implications” Now!